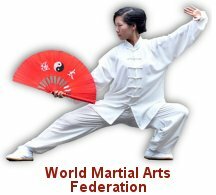 WMAF black belt members in good standing who hold the rank of 1st Degree Black Belt or above may request to be admitted to the External Testing Program. Once admitted into the program you will be able to test via video and written examination. External Testing Program Application For Admission. Online External Testing Program Registration. Copyright © 1995- James S. Benko and ITA Institute.